When I was asked to review a new matcha powder, I couldn't resist! I love matcha but it can be so costly, it's almost not worth it. I wasn't always a lover of matcha and it's still a hit and miss for me. I had a matcha green tea frappuccino at Starbucks once which wasn't bad but when I had a matcha iced coffee at a local coffee shop I wasn’t very convinced. It was terrible! But I was determined to find a reason to love matcha so I bought some from Whole Foods during my Christmas trip. I spent about $18 for 2 oz. I didn't realise there would be so little in the canister. After about 6 servings, it would be all gone. It definitely felt like a rip off. That's why I love Dream Matcha Powder. At only $16, you definitely get your monies worth! So far I've enjoyed a steaming cup of matcha tea and I already have plans for other recipes to try with it this week. I'll keep you update on how that goes. What is Dream Matcha Powder? 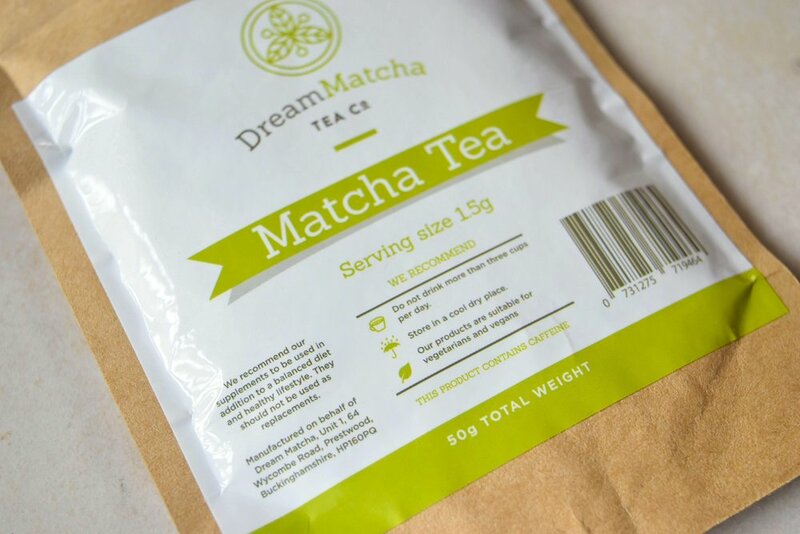 Dream Matcha tea is a high quality ceremonial grade matcha green tea powder, imported directly from the Uji region of Japan. Renowned as the matcha capital of the world, the Uji region produces only the finest quality matcha green tea. Matcha green tea comes as an extremely fine, bright green powder. It is ground through exclusive stone mills and has a lovely smooth, sweet taste unlike any lower grade matcha powders offered elsewhere. Each pouch contains 50 g, equating to roughly 30 servings. Matcha powder is mainly used as a tea but also has many other uses; it can be used in smoothies, food, shakes and more. You can purchase Dream Matcha here. I can't wait to share all of the fun recipes I try with this product! How do you enjoy matcha? Share your favourite matcha recipes in the comment section below and maybe I'll try it!